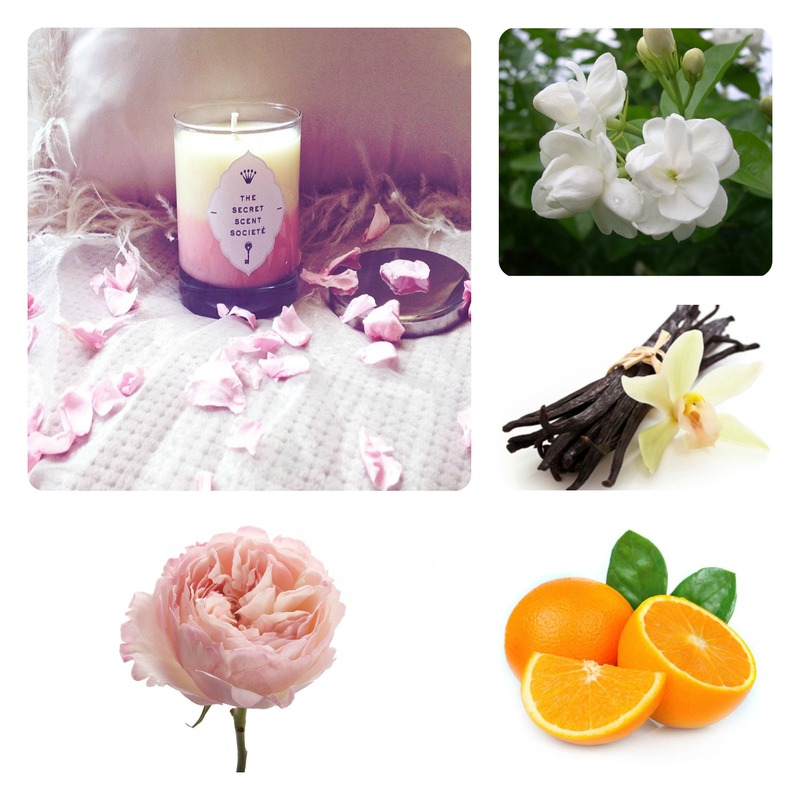 Smell Gawjus and thank us for it later! Our new product: Orange Blossom Hair Perfume is a 100% natural, alcohol-free haircare product that’s made with a blend of Essential Oils, Vitamin E and Orange Blossom Water with Mica pigments to give your hair a subtle sparkle. Weightless and hydrating, our Hair Perfume has notes of Jasmine, Vanilla and Orange, and will give some life to dry, dull hair and keep it smelling beautiful allday. 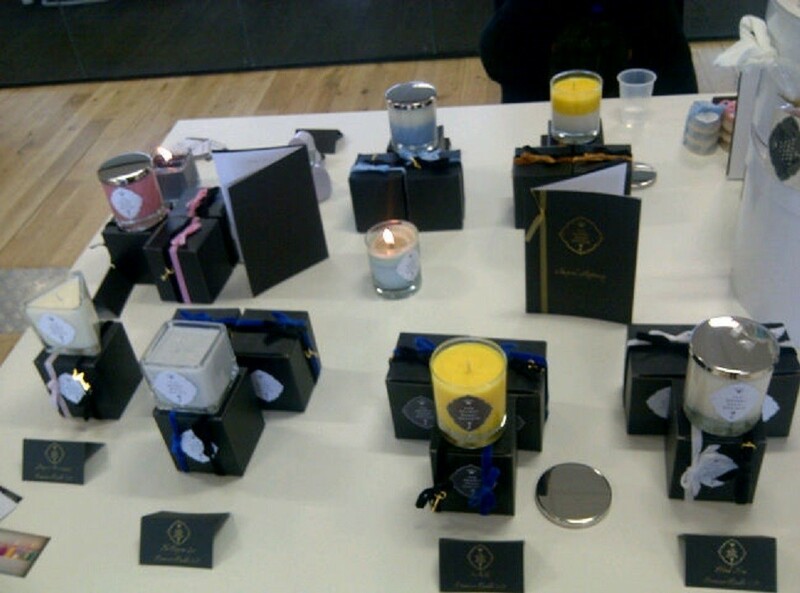 Handmade in our London studio. We’ve come to a bit of a lull here in The Secret Scent Societe’ lab but rather then sit about stewing over the whats the whys and the wheres I’ve decided to take matters into my own hands and try getting my products into some magazines. I don’t know what stopped me from doing this before, fear perhaps, but I’ve decided that fear isn’t going to get my brand where I want it to be. I realise now that without setting any realistic tasks and goals I would continue to feel de-motivated and ask myself what the point was. Understanding that this is normal, and that I’m far from being the only one is the first step to deciding how to remedy the problem. So I took some advice that my cousin gave me last week about contacting the magazines and websites that I want my products to be featured in and have contacted the editor of my favourite magazine of all Stylist. 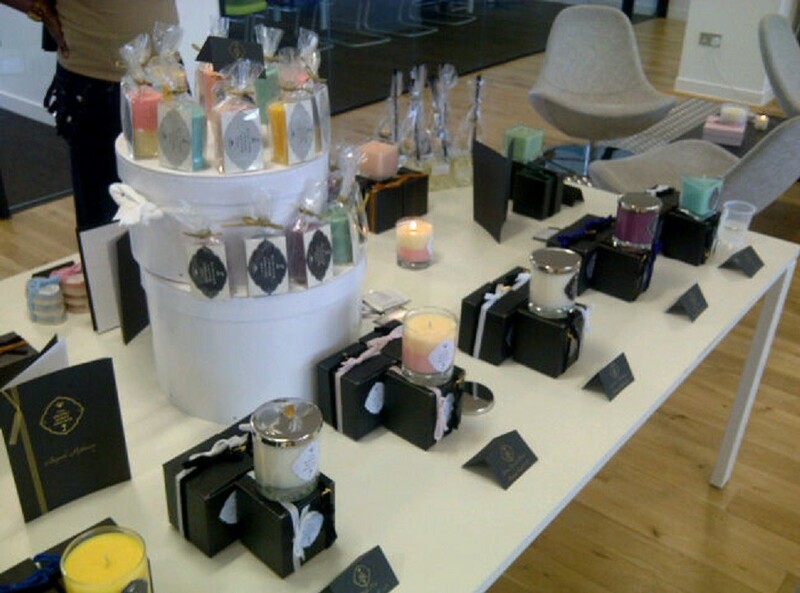 There page The Style List always has an eyecatching variety of products both from well known brands and small independent ones. It’s infact the one place where I know that my products would do well to be seen in, as in actually result in sales, which unfortunately not what happened after my ad in VOGUE (sad but true). In reality all marketing and promotion is a gamble, and sometimes it pays off, sometimes it doesn’t. But I do believe that being seen in Stylist is a positive and progressive step towards being where I want to be: An established brand that people can’t help but to be loyal to. I appreciate that they must get tons of people contacting them about being in there magazine so I have sent an email offering a free sample of my products. I mean, who doesn’t want a freebie? I think that since I’m on a roll there’s no point in stopping there. 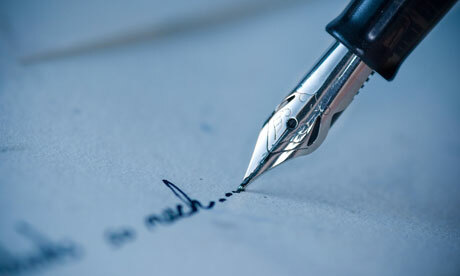 Over the next few weeks I’m going to contact a few other publications about being featured. Aferall they can only say no huh? Has fear ever held you back from doing things you want to do? And if so, what did you do about it in the end? I’m back! Back from my holiday in the South of France and back from kittensitting my 2 3 month old British Shorthair kittens. I had to leave them at home by themselves for the first time today as I had to go back to work but I have been with them for the past 2 days and they are just adorable. Beautiful, energetic, fluffy balls of lilac (smoky grey) and blue (slate grey) furr. The girl, Sansa, is very affectionate, confident, inquisitive and playful, and the boy Franklin is sweet and gentle but very shy. He loves his sister and follows her around everywhere, it is very sweet to watch. The restaurant wasn’t a typical choice of mine for it wasn’t glamorous, extravagant or beautiful, it was infact quite plain. And I was beginning to wonder why we had bothered going to it when we arrived as we were not greeted at the door by a maitre’d, indeed it seemed as though there was just one person serving all of the tables in the restaurant (granted it was small), but with her warm, quiet efficiency and then the first course – an aperitif of Olive Ice Cream and freshly baked breads and savoury pastries I was completely won. And I knew this place was something special. Because I knew that I didn’t care how long I had to wait for my food, I didn’t care that it wasn’t a glamorous castle with expensive furniture and fittings, indeed, I didn’t even much care what it was I chose of the menu, because I knew off the strength of the quality of the bread, which couldn’t have been made more perfectly, not the puff pastry more light, that this chef was a chef of dreams: One with the essense of magic aswell as technical skill. I’d never felt so sure before – and I’m not too keen on Bream, but I was sure that he could make me like it, indeed he could make me love it. And he did. But that was after he completely blew both Ian and me away with the starter. It was a simple dish, but then the simple dishes, when they are cooked well, usually are the best: Tomato and Goats Cheese Tart. I know it sounds boring, but if I were to explain to you how this man complimented the flavours and textures it would blow your mind. I think there was a little fennel in there, and some onion, and some chilli, and something else too, that I couldn’t quite put my finger on, but my head was exploding with sensation as taste buds were teased that had never even been discovered before. It was crazy good. The dessert was a fruit crème brulee and was just as I’d expect from such a chef god: Bliss. “C’était Magnifique!” And she understood that well enough indeed she seemed very flattered to have received the compliment, but I meant it, I really did. 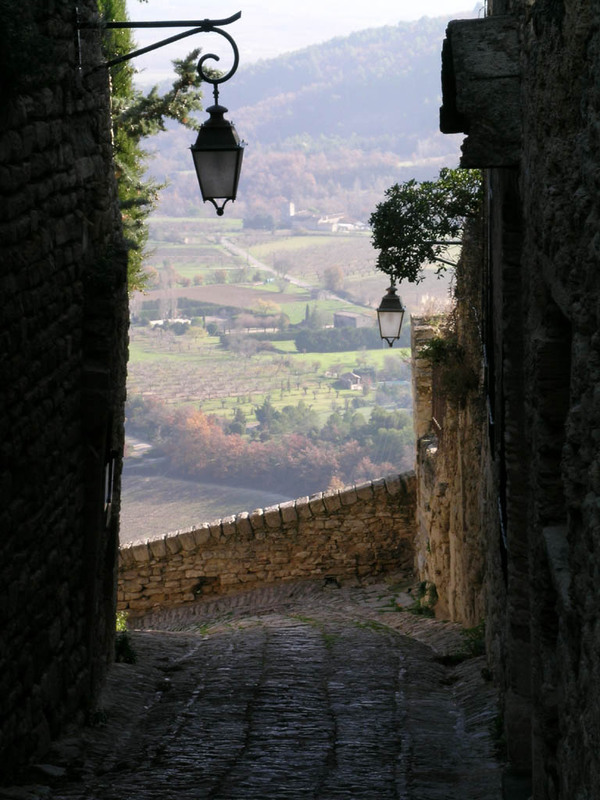 I fell in love with a little village called Gordes. 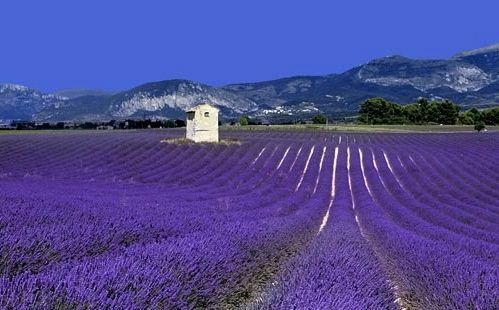 Untouched, mysterious, colourful, beautiful, and perched high upon a hilltop with a panoramic view overlooking the valley below with the sweet fragrance of lavender wafting up from the fields. It was beautiful and serene, sometimes it felt like we were the only ones in the world as most days we only saw a scattering of people, but there was always the comforting sound of birds chirping and trees rustling in the breeze. We drove up the steep, windy incline of Mont Ventoux, the starting point for the Tour De France, and took in the breathtaking scenery at the summit. It was a surreal experience, it felt like we were on top of the world, in the clouds looking down. 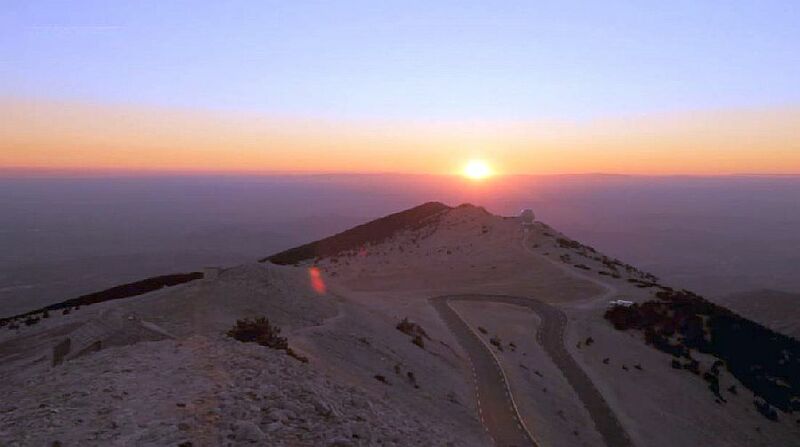 An unforgettable experience, and surely Mont Ventoux must be one of the most beautiful places on earth. 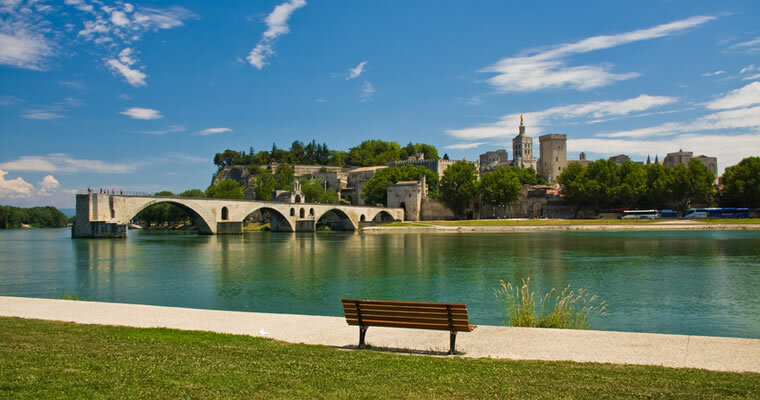 We travelled to Avignon and Orange, where we took in the famous and beautifully well preserved historic buildings: The Theatre Antique & Musee D’Orange and Palais des Papes and the beautiful gardens surrounding. 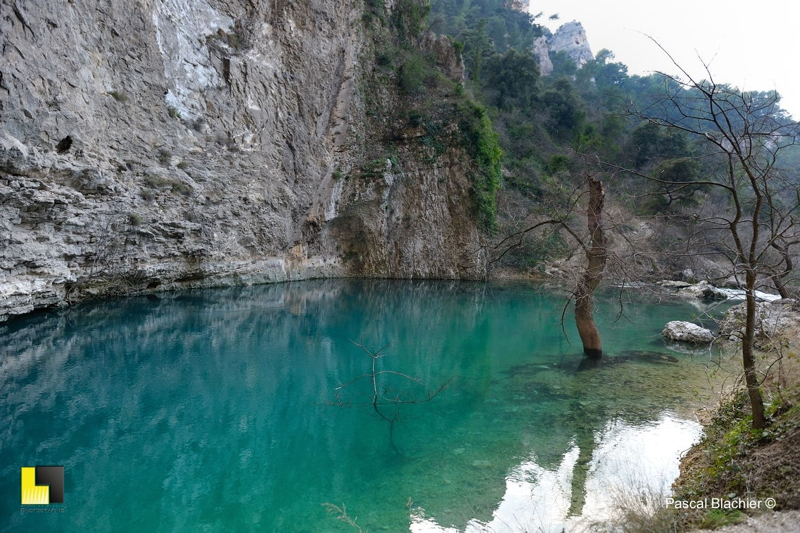 We went to the emerald green pool Fontaine De Vaucluse, which is the fifth largest spring in the world and visited a wonderful street market in Carpentras. 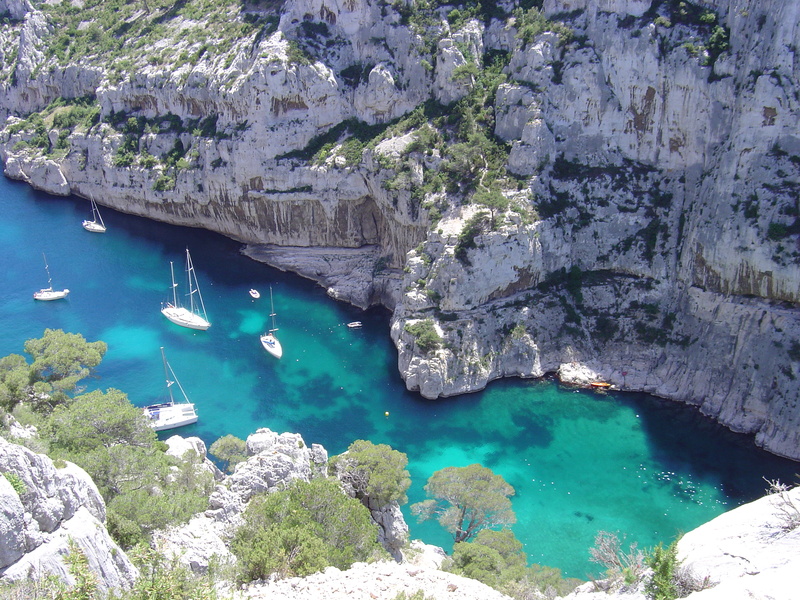 We also wanted to visit Rousillon and The Calanques in Mersaille, but unfortunately ran out of time! 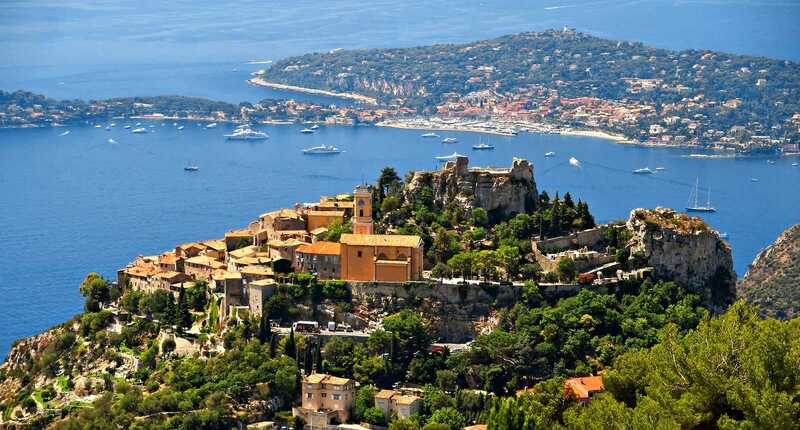 Next time we visit Provence we are going to go and stay nearer to Nice so that we can visit Grasse and Eze amongst other places. I realised whilst I was there that no matter where we went in Provence it was spectacularly beautiful. I felt assured that I probably could have picked anywhere to stay and it would have been lovely. I loved the villa we stayed in which was a converted sheep outbuilding. It still had a lot of the original features which gave it not only a lot of charm, but a lot of warmth and character too, with a lovely little mezzanine (which I adored), and a big open plan kitchen with an island (another feature that I love). The huge open fireplace was a great feature of the property along with the stone well used to wash the sheep. The property had clearly been renovated with a lot of loving care and we absolutely loved staying there. We had a BBQ outside beside our very own private pool and an outside lounge area complete with herbs we could use for cooking or cocktail making. And boy did the sun shine! The sky was as blue a sky as I’ve ever seen! I’m off to Croatia in a couple of weeks for a house music festival so I’ve only got a few more weeks before I have to leave my adorable furrbabies at home with my boyfriend. They are such a delight to watch that I cannot wait to get home to them each evening. So my birthday is coming up soon and I’ve been thinking that I probably need to start planning something! Usually I do this at least 2 months in advance but I haven’t had the chance until now. I will be in Croatia on my actual birthday so won’t be able to do anything until I get back but I’m thinking about having a small gathering at home. 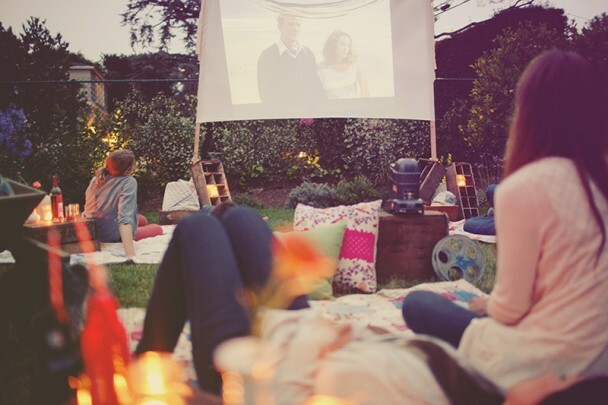 On my 30th birthday a few years ago (I sound old, I know), I had the most amazing Summer Garden Party and I’ve decided to do something similar this year by having an outdoor cinema party. We will have a BBQ with things like: beer, icecream, prosecco, pims, eton mess, cupcakes, hot dogs, pop corn, nacho’s, pizza and wine, and set up a projector screen so that we can watch movies outside. It was suggested by a couple of forums that we just use a sheet to spare us the expense of having to buy a projector screen but I’ve seen some pretty reasonable ones on Amazon and I don’t particularly like the idea of using a crumpled up bed sheet and trying to tape it to the window to use as a screen and also I think it’s a good investment to have a projector screen, you never know when you might need to use it in the future. I will try the bedsheet idea out to see how it looks but if it’s not good then I will just buy myself a screen. Chairs, cushions and blankets will be provided and I will also tell my guests that they can also bring along something comfortable to sit on. For the film choice I will probably pick around 3 to 4 films then have a vote as to which one most people would like to watch and choose the most popular, then if all goes well on the night and people want to watch more then I will also show the second choice. I will use lanterns and candles for some subtle lighting and put on a fire or use an outdoor heater if it gets a little chilly. What do you think about my outdoor garden party idea? Can you think of anything else I could do to make it even more special? 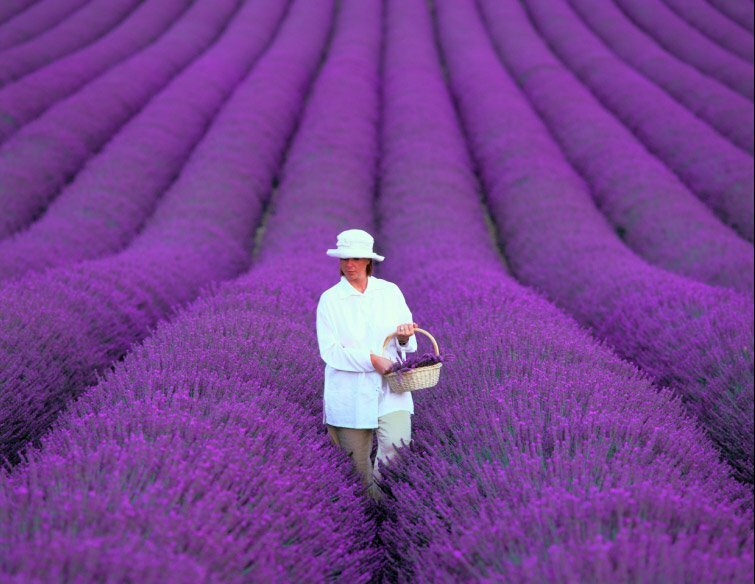 I’m off to the South of France tomorrow – Provence to be exact, and I can’t wait! We have booked a little villa in a small village in the beautiful French countryside and are planning on travelling all around the South of France, stopping off at: Nice, St Tropez, Orange, Sainte Croix, L’Isle Sur La Sorgue. Cassis, Eze, Avignon, Grasse. What are YOUR romance plans this Valentines Day?.. I am not too keen on the cobweb infested Valentines menu’s they bring out of storage each year in restaurants so I won’t be going out on Valentines Day myself but my Beloved has promised to spoil me rotten on the weekend so I am very much looking forward to that. It has a hint of citrus and vanilla, and just oozes class and sophistication with the honeyed, sweet, tones of Rose Flower. It is perfect for a romantic night in.